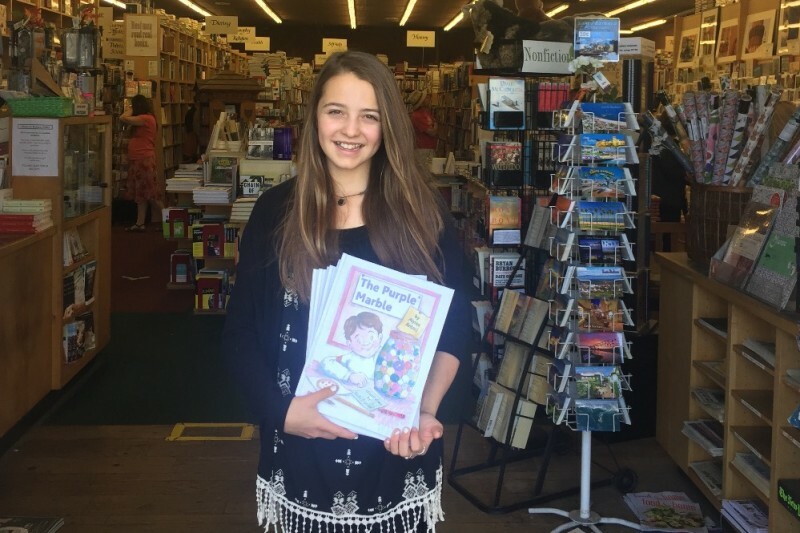 Alyssa Antoci, now 13, wrote a book about bullying when she was just 8 years old called "The Purple Marble". The story is a true story about a family member who was bullied because of his weight and had to eat his lunch in a boy's bathroom stall because his peers teased him they were going on a pig hunt at lunch time to find him. Alyssa was so saddenned and efffected by his story that she wanted to share it. She was also bullied herself by a very close friend. Alyssa's book is in some book stores and libraries in California. She has had teachers from all over write her emails that they have had great success reading her book to their classrooms, openning the discussion about bullying . Our goal is to get this book into every school in America(for grades 1st -4th). We need to break the circle of bullying and reach the younger grades as this is where this behaviorial pattern starts. WE NEED TO SAVE OUR CHILDREN AS THEY ARE BEING DESTROYED AND WORSE DYING FROM THIS PREVENTABLE EPIDEMIC CALLED BULLYING! Your donation of a minimum $25 will allow us to send a copy of 'The Purple Marble' to a school of your choice (or we choose). Of course if you donate more, you can recieve or give out more books or just support our anti-bullying movement. Please encourage your elementary school teachers to read this book as there is a list of discussion questions as well as an overview of what each character learned by the end of the book. We can't thank you enough for helping Alyssa with her cause! If you haven't donated yet, please help to get this book into every school. You get to choose the school it goes to, so pick a school your child goes to, or one you went to or send it to a child who is having issues with friends at school. 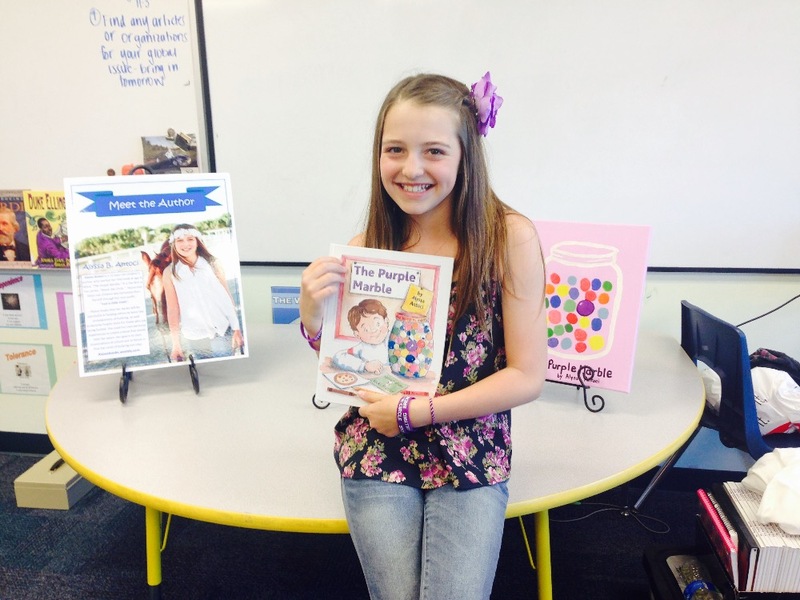 It is powerful and written by Alyssa when she was just 8. thank you for all your support. We will keep this campaign open until we reach our goal. 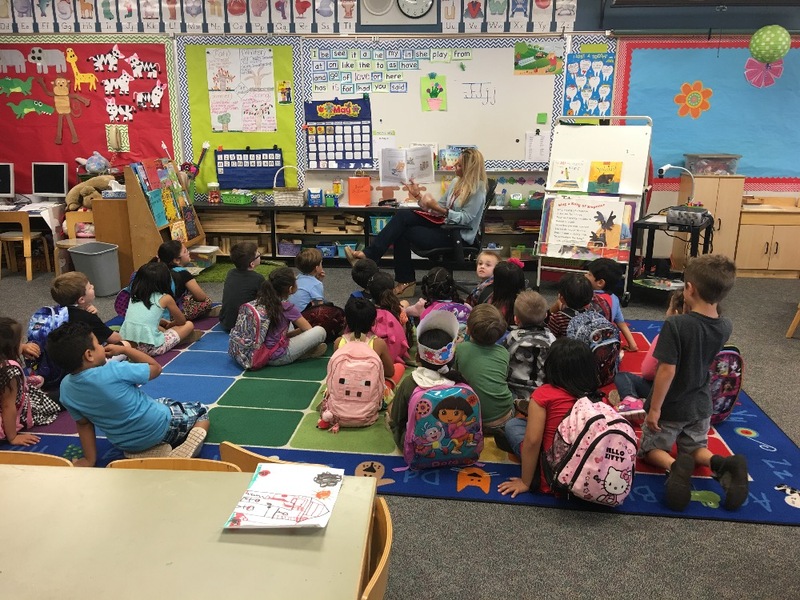 Here is a teacher reading the book! We are more than three quarters to our goal. A $25 donation gets one of these beautifully illustrated books about kindness to a child or a school. The other day I was at the bank and the bank teller told me her daughter had been bullied and because of your donations, I was able to give her a book to give to her daughter. She has since given it to her daughter's school and they are using it as part of their Anti bullying movement at their school. Thank you so much! Most of our donations have come from friends, family and acquaintances . I thank you so much. It is so nice when you receive a donation from someone who's heart is in the cause and I don't know them, ChefUpNorth ,thank you so much for your generous donation! Alyssa is an amazing young woman who is kind hearted and shines in whatever she does. The fund raising is completely unselfish--a gift to our children everywhere! In honor of my grand niece who has been a victim of bullying ! I hate her tears !